The following guest post and analysis is written by MilesTalk Facebook Group Moderator Jenny Reed. It was posted on April 1st and is not a real card, but is quite an intricate account of what a very complex but highly profitable new card could be! 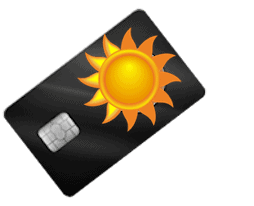 The new Sunshine UltraChoice card will be available for online signups in less than a week. This new card from a small, local bank will be available without restriction to all US residents, not just locals. North Shore Sunshine Bank hopes to compete with the big banks in quality transferable points-earning cards. The Sunshine UltraChoice card is just the first of several planned Sunshine offerings, all of which will earn Sunshine Points that will transfer to a small but powerful list of airlines at the rate of 1:1. This list includes Virgin, Singapore, American, Korean, and Icelandair. It will also transfer to Norwegian Cruise Lines. The Sunshine UltraChoice card definitely lives up to its name. You get to choose your bonus categories from a long list of 61 possibilities. Every year, you get to reselect your categories. The number of Shells you will receive each year varies with your total spending. You get 10 Shells just for having the card. You get an additional 2 Shells your first year, and every future year in which you pay your bill in full and on time every month. You get 1 additional Shell for choosing to go Paperless for your monthly statements. You can also earn up to 5 more Shells by meeting spending thresholds, at the rate of 1 Shell for every $10,000 annually to a maximum of $50,000 annually. Different categories cost a different number of Shells because different categories have different inherent value. The cost of adding a category to your personal bonus list for the year could be as little as one Shell or as much as five Shells. Grocery Stores cost 5 Shells to select, but the spending is unlimited. Drug Stores cost 4 Shells. Meanwhile, Gym Memberships cost only 1 Shell. Most categories cost 2 or 3 Shells. When you select a category, you spend the assigned number of Shells and you earn 3x on that category for the year. You keep selecting categories until you have spent all your Shells. You can de-select a category and change it until you click the button to finalize your categories and move on to the next step. A Barnacle is a token that you can place on top of a Shell in order to increase your category spending bonus. You need to use Barnacles in “sets” or groups that equal the same number of Shells you needed to purchase the category bonus in the first place. For example, you need a set of 5 Barnacles to increase the bonus on Grocery Stores, but only a single Barnacle to increase the bonus on Gym Memberships. A set of Barnacles will raise your spending bonus by 1x, and you can raise a spending bonus up to twice, for a potential total of 5x spending category bonus on whatever category you like. It is very important to understand that, so you are not surprised: Only non-bonused spending counts towards earning Barnacles. That means spending that is not counted within one of the categories that you added Shells to, in order to turn them into bonus categories. Non-bonused spending earns just 1x on this card, but every $3,000 of non-bonused spending earns 1 Barnacle, as well as counts toward your thresholds for additional Shells. So, in effect, non-bonused spending helps juice your bonused spending. The $3,000 limit is rolling, which means that you always get the Barnacle at every $3,000 milestone, even if it crosses an annual border. So, if you’ve spend $2,938 toward you next Barnacle at the end of the year, you do not lose your progress! You still get a Barnacle when you spend the first $62 of non-bonused spend in the next year. That is different from the Shells thresholds, where you must spend all $10,000 in one card year (by the deadline of your anniversary date) in order to earn another Shell. Shells are use-or-lose; meaning that you must select categories for all your available Shells in order to make use of them. I’m not sure if you would be permitted to move to the next selection step if you have not selected categories for all your Shells, but if you are, then you would definitely waste them. They cannot be saved for another year. Barnacles, on the other hand, can be saved. You can use as many Barnacles as you like to raise your spending category bonuses to 4x or 5x. There are no limits on earning Barnacles, and the only limit on spending Barnacles is running out of slots to use them in, should you be a very big spender. But if you do have extra Barnacles that you are unable to use (or just don’t want to use), then you may save them for the next year. This is a really good card to keep for the spending bonuses, which are in categories you actually want (we know this, because you choose the categories yourself). The more you spend on this card, the better the card will be the following year, too (when you get to spend your Shells and Barnacles). In keeping with the Ultra-Choice theme, you get to select your sign-up bonus package. This, too, comes in stages. First, you select one or two bonus thresholds, with an amount of points awarded when you meet the thresholds. You can choose a low threshold, as low as $500, with a small number of points as your bonus, or you can choose a large threshold, as large as $7,000, with a huge number of points awarded. There are also some options that give you a small number of points on first purchase and then a large number of points on meeting a threshold. We each need to match our own spending capabilities to the card; this means that you should choose a realistic amount of spend for your financial situation to be sure to get a bonus. That said, for those who can manage it, the very best deal (with the greatest number of points) is 160,000 points in two tranches: 10,000 points on first purchase, and 150,000 points on spending $6,000 in 3 months. Second, you choose your starter Barnacles. You can choose 20 Barnacles immediately upon opening the card, or some variation of fewer Barnacles now but an additional award of Barnacles to use on your first Anniversary, over and above the number you earn through non-bonused spending. While you get more total free Barnacles with the various anniversary packages, I believe that most people will get the most value from getting and using all 20 Barnacles immediately, but your mileage may vary. To earn 20 Barnacles through non-bonused spend, you would need to spend $60,000 in non-bonused categories. There are obviously people on all points of the spectrum from “That’s too easy; I’ll earn that much in my first month” to “I don’t even EARN $60,000 in a year!” And, if you have a card that earns better on non-bonused spend, such as the Amex Blue for Business, or one that gives you a better reward (in your opinion) for your non-bonused spend, such as the Hyatt card, then you may not feel it’s worth it to spend that much, even if you are capable of doing so. But, if you spend a lot of money in one or more categories, you might find that it’s a power move to earn at least the number of Barnacles you need to goose that category to 5x. Or, then again, you might just want to save some Barnacles for year 2 and beyond, so you don’t have to earn as many as you need to spend for a year or two (or three). This is all strategy that will change depending on your situation. I think some of you may prefer to just stick to credit cards with the best signup bonuses if this is too complicated. In absolute dollars and points, is it worth it? Well, let’s say you spend an even $10,000 per year on Groceries. At 3x, you are earning 30,000 points, and at 5x, you are earning 50,000 points. That’s a difference of 20,000 points. So, let’s say you have the Amex Blue Business, which earns 2x on non-bonused spend. In that case, your opportunity cost for earning 10 Barnacles (that’s 5 Barnacles for each additional 1x) is 30,000 points lost. In other words, you will earn 30,000 points plus 10 Barnacles on the Sunshine UltraChoice, but you would have earned 60,000 points on the Amex Blue Business, for a difference of 30,000 points. Assuming you value Sunshine Points and Membership Rewards equally (which is not necessarily the case, but let’s assume), then you are getting half the value per dollar spent. Your 30,000 point loss buys you only 20,000 additional points, so you are earning a net loss of 10,000 points. However, if you spend more on Groceries, that equation changes. At $15,000 spent on Groceries, you earn an additional 30,000 points – you earn 45,000 points at 3x and 75,000 points at 5x. Now you break even. Any amount spent on Groceries over $15,000 is technically profit. However, there is a snag in this logic. If you have the Amex Gold card, you are earning 4x on Groceries already, up to $25,000 per year. So, in this case, you might feel that your actual profit is only the difference between 4x and 5x – which, at $15,000 annually, is 15,000 points. Now, you have to spend $26,250 annually to call it even: the first $25,000 earns you just 25,000 points more than Amex Gold, but the last $1,250 earns you 5,000 points more, for a grand total of 30,000 points. Anything over this amount is true point profit over the Amex Gold and the Amex Blue Business combined. Anything less, and you are better off leaving your Grocery category on Amex Gold. For comparison, the Medical category only costs 1 Shell, and goosing it to 5x will require just 2 Barnacles, which needs only $6,000 in spend. Your opportunity cost versus the Amex Blue Business is just 3,000 points. And, since no other card bonuses this category, you are comparing it to Amex Blue Business’s 2x, as well, meaning that every dollar spent at 5x on Sunshine UltraChoice earns you 3x more than the Amex Blue Business. Therefore, you only need an annual spend of $2,000 to break even by goosing this category to 5x; any amount over that is points profit. But remember, too, even if you do not goose the Medical category to 5x, you still come out ahead at 3x over the non-bonused best of 2x. The bottom line is that big spenders can really clean up with this card in any category that suits them, but people with more modest budgets will do best choosing bonus categories that they do not already have on another card. It will also be interesting to see how this card stacks up against the other 73 cards already in the Your Best Credit Cards tool once this card is available. Questions? 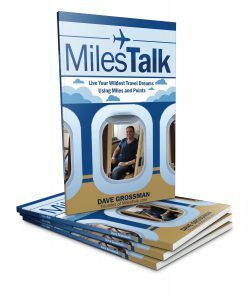 Let us know here, on Twitter, or in the private MilesTalk Facebook group.